A short session on using insert earphones and earmuffs in adult audiometric assessments. The Insert Earphones Workshop is based on the innovative, flexible and cost-effective earphone option listed in the latest (2014) version of Australian Standard 1269.4: insert earphones + noise-reducing earmuffs. As specified in Australian Standard 1269.4, a key element to obtaining accurate audiometric results is to test in quiet environment. Many busy practices realise this is easier said than done! 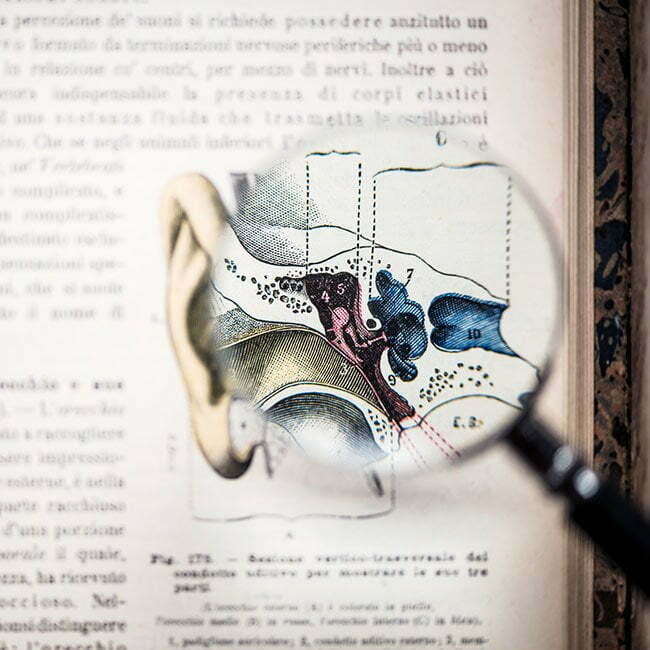 If background noise isn’t managed effectively, complaints can arise from test subjects as well as companies engaging the audiometry service provider. This a 1/2-day program that runs from 8.30am – 12.30pm. The Insert Earphones Workshop provides hands-on training in the safe and effective fitting of insert earphones and earmuffs for occupational audiometry. The latest version of Australian Standard 1269.4 Auditory assessment (2014) lists an innovative earphone arrangement for testing in noisy areas: insert earphones plus high attenuation (noise-reducing) earmuffs fitted over the top. When using insert earphones, the audiometric tester inserts an expanding earplug deeply into the client’s ear canal. This is an “invasive” technique and warrants formal instruction to complete the task safely. Training is particularly valuable for obtaining a “good fit” in order to achieve the high level of noise reduction specified in AS/NZS1269.4. Insert earphones deliver testing tones via a tube that passes through a compressible earplug, which is positioned inside the client’s ear canal. Insert earphones on their own provide a reasonable level of external noise reduction, however research demonstrates that much greater reduction is achieved when a pair of specific, high rated earmuffs is fitted over the top. High noise reduction. One of the main benefits is a very high level of attenuation (noise reduction) of external noise. Flexibility of testing location. Better noise reduction means Standards/legislation-compliant audiometric testing is possible in many rooms that would previously be too noisy to conduct audiometry without a booth. Cost effective. Compared to a booth (still the ‘gold standard’ for audiometry), the insert earphones equipment costs are significantly lower. Takes up the same space as a pair of standard audiometer headphones, so can be easily transported between locations. Enhanced perception of test quality. Many customers report that clients can question the accuracy and quality of the test when they hear external noise during a hearing test. This new equipment provides extra levels of noise reduction so many everyday sounds in the clinic are heavily muted or inaudible. Who would benefit from attending this course? The Insert Earphones Workshop is only available to graduates of the 4-day Occupational Audiometry Course* conducted by The Hearing Company, or other formal audiometry course which includes specific tuition on ear inspection. This ensures competence in Australian Standards audiometry and otoscopy techniques, allowing our teacher to focus on developing advanced skills during the workshop. *Our 4-day Occupational Audiometry Course provides students with thorough training in the practical skills and knowledge required to conduct Standards/legislation-compliant audiometric assessments. Importantly, this course includes training in how to safely and effectively conduct otoscopy (ear inspection). There is no reading or other pre-course preparation required. Students attending this workshop will receive an Attendance Certificate from The Hearing Company, Australia’s leading occupational audiometry training provider. The course presenter is Glenn Johnson, an Occupational Audiologist (hearing specialist) with over 20 years’ experience in clinical practice, hearing rehabilitation, teaching, management and consulting. 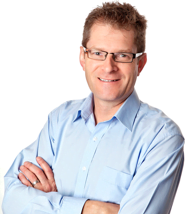 Glenn is Director and Principal Audiologist of The Hearing Company, and during the last 15 years has designed and delivered training in occupational audiometry to over 1,000 students throughout Australia and the Asia Pacific region. Please contact Lynne Miles, Course Coordinator, with any question or to discuss the suitability of this course for your requirements: 0478 776 039 or admin@hearingcompany.com.au. We provide one-on-one supervised practice. We supply all practice equipment including audiometers, otoscopes, insert earphones and consumables. Students are provided with a Course Manual and other supporting material. An Attendance Certificate will be issued following full attendance at the workshop. The workshop content is developed from Australian Standard/New Zealand Standard 1269.4 (the key reference document in occupational audiometry), National Acoustic Laboratories research and practicing audiologists with over 20 years’ experience. Does the course provide compliance with Australian Standard AS/NZS1269.4? Do insert earphones meet Australian Standard AS/NZS1269.4? Yes, they certainly do. The insert earphones + earmuff combination appears in the 2014 (current) version of the Australian Standard AS/NZS1269.4. The Standard also describes the level of external noise that is acceptable when using this combination – much higher than other ear-level headphones equipment. For reference, while insert earphones look somewhat unconventional, they have been in widespread use by audiologists (university-trained hearing specialists) around the world for decades. Can anyone learn how to use insert earphones? Yes, we can train any tester who has received formal training in audiometry and ear inspection how to fit insert earphones. Can a registration be transferred to a colleague? Yes, we accept transfers to another person but only within the same course. Deferring a registration to another course (different dates) is regarded as a cancellation. Is there a course certificate? Yes, students will be issued with an Attendance Certificate. Do I have to bring an audiometer to the course? No, this is not required although students are welcome to bring equipment if they would like advice on how to use a particular audiometer. We supply all required practice equipment including audiometers, otoscopes and consumables. Can I claim Professional Development points for this course? Yes, the Insert Earphones Workshop provides 4 hours of tuition, which can be claimed towards CPD requirements. Where are the courses conducted? We conduct public courses a couple of times a year in the location of most demand – usually Sydney, Brisbane or Adelaide. We often conduct the workshop immediately following our comprehensive 4-day Occupational Audiometry Course. We can also conduct in-company workshops for organisations with multiple employees to be trained. This can work out as a cost-effective and efficient way to upskill a team. Our equipment and teaching personnel are completely portable. What other courses do you offer? We offer a range of courses focussed on conducting occupational audiometry. These include 1- and 2-day courses which teach basic/fundamental skills through to a comprehensive 4-day Occupational Audiometry Course, which delivers full compliance with workplace audiometry legislation, Australian Standards and industry best practice. See our range our course here. The Hearing Company specialises in supporting audiometry practices with professional training, equipment and advice.